During 2015, 2,000 schools across London started enjoying the benefits of hosted telephony, also known as Voice over Internet Protocol (VoIP), thanks to the efforts of the London Grid for Learning. 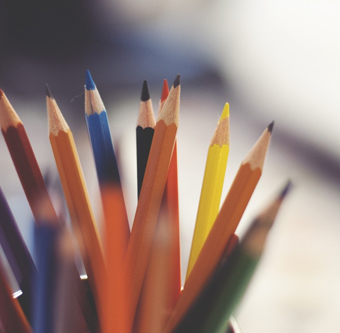 It is estimated that the adoption of VoIP will save the schools around £100 million every year, as well as enabling them to use new e-learning technologies such as interactive whiteboards, instructional podcasts and more. If you are reviewing the telephone system for your school, you might be wondering if VoIP could be a good solution for you. Voice over Internet Protocol (VoIP) is, quite simply, voice delivered across an internet connection. You may already be familiar with systems such as Skype, which enable users to make voice or video calls via the web, which is one use of the VOIP technology. For the end user, the result is no different to a normal telephone system. They can have a desk phone with buttons to transfer calls and put callers on hold or activate voicemails. The call quality for both caller and recipient is just the same, if not better, than with traditional telephony solutions. The real difference comes in the functionality, cost saving and endless scalability of the VoIP solution, which can be the tipping point in many people’s decision making around this process. 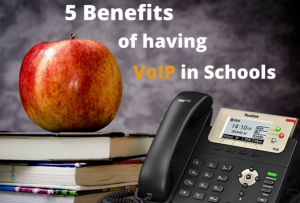 What are the advantages for VoIP in schools? Cheaper calls: Calls to other VoIP phones are usually free, and calls to landlines and mobiles are heavily discounted. Reduced monthly costs: By using data connections for communication, schools can save on the normal associated costs of line rental and subscriptions for their telephone service. Reduced maintenance costs: All VoIP services are hosted externally, so the only equipment for the school to purchase and maintain are the VoIP phones themselves. Lines in every classroom: Having a phone in every classroom is economically unfeasible for most schools using traditional services. However, with VoIP, if the room has access to the school’s internet connection, the teacher can have their own phone in the room, improving communications and security. Allocated numbers for each teacher: If your school has teachers who move around the building, they can take their own VoIP extension with them and be contactable on the same number, no matter where in the school they are. With the addition of wireless handsets and smartphone apps they can also be contacted anywhere on campus, even out on the sports field. Also, teachers or other support staff who wish to work from home can simply take their VoIP phone home with them and plug it in their home network, and instantly be ready to take direct dial calls as well as transfer calls to and from their phone. Compubits specialises in the deployment and ongoing support of VoIP telephony solutions for the UK education sector. We can introduce a VoIP solution that enables school departments and offices to stay connected with each other using a unified IP-based phone system. We can replace your antiquated analogue phone system or upgrade your existing internet telephony service with a cutting-edge VoIP solution that is designed to unify internal communication and reduce annual servicing costs. 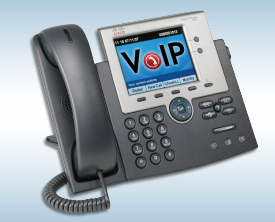 We have extensive experience implementing VoIP networks on school premises. We can install standalone intuitive phone systems, or we can implement a site-wide solution that is designed to unify communication between school buildings and departments. Why Implement a VoIP Solution? build a 21st Century education system with modern communications that support ‘bring your own device’; mobile classrooms, media rich lessons and individualised instruction via tablets or smart-phones. We can provide IP Office telephone systems that integrate office phones with any mobile device or complete cloud based phone networks perfect for local schools in London and beyond. The services and systems are capable of expanding as your school requirements grow and yet from the outset, provide the functionality and efficiency you need to keep everything running smoothly and safely. With VoIP phone systems, schools avoid many of the recurring charges that are associated with a traditional phone system, and cost savings are evident from the beginning. The savings that come from VoIP phone system quickly eclipse the cost of installing the system, and savings are realised every month with lower bills. For all these reasons, VoIP phone systems are a great choice for schools.